The price of cannabis at dispensaries shouldn’t surprise you. Word of mouth has spread the problem since the first legal dispensaries opened. The prices include huge tax burdens, but there’s nothing new about that. In the runup to legalization, the cost issues filled the news and political debate. With more states authorizing sales, more customers are hitting the wall of high prices, and they’re looking for ways around the problem. As more states authorize sales, some of the pricing issues will shake out. Suppliers will merge, acquire, or sell out. And, the largest producers will make deals where economies of scale make sense. Evolving farm and production methods will lower the wholesale price. And, heartier breeding will create cost-efficient cannabis strains at the risk of homogenization. As more dispensaries appear in the markets, some will compete on style and venue. The super dispensaries opening in Las Vegas, for example, come with overhead and labor burden they will pass on to customers. So, how are you to save money by buying cannabis at dispensaries? 1. Pick your dispensary wisely. If you’re in a locale with few accessible dispensaries, you don’t have much choice. But, if you have shopping options, you should make a data-based decision. There is enough info on the internet to feel out the different stores. You can research and compare prices in the dispensaries near home, work, or along your commute. You are bound to see higher prices at downtown and tourist attraction dispensaries. 2. Try something new. Cannabis offers you many experiences. The tastes, aroma, and effects vary from strain to strain. Cannabis users are unlikely to stick with the same strain for life. Unlike cigarette smokers, they don’t stick with the same brand. You will build up a tolerance for a strain if you stick with it. So, variety is your friend when it comes to shopping. There’s nothing stopping you from picking a new strain that’s cheaper than your standard pick. Dispensaries sell products other than buds. You might want to experience something priced lower like an edible, wax, or shatter. Or, you might want to split an order to your price advantage. 3. Save those savings coupons. Internet research should tell you which shops are offering coupons, deals, and discounts. Dispensaries are competing aggressively in states where legalization is only recent. They offer printable coupons, advertise discounts, and promote deals on products and volume. Again, if you have a choice among dispensaries, you can opt for the one with the best-publicized deals. And, you can take advantage of your social circle and share or trade coupons. 4. Play sick. Medical cannabis dispensaries are exempt from some taxes or eligible for lower taxes. It makes sense, then, to secure a medical cannabis card if you are eligible. In states where recreational cannabis is permitted, the medical cannabis dispensaries are folding into the recreational stores. So, with your medical card, you might find the same product on both sides of the aisle but cheaper on the medical side. The medical card might also give you access to products you haven’t tried before. If the cost is the deal breaker, it might be worth trying something from the medical counter. 5. Buy big. The more time you spend on the cannabis internet or local advertising, the easier it is for you to price by volume. You’re likely to see considerable savings in buying bulk. You can calculate how much weed you use per month and, then, buy your stash in one spree rather than week by week. You’re smart to budget your habit. You save money when you avoid impulse buying. And, you save money by watching the dispensary’s marketing habits. Each dispensary is likely to move certain products at certain times of the month so close observation can make that work for you. 6. Make friends. Most cannabis users have friends who also use. They gather at parties and smoking circles to share their experience. But, if your stash is big enough, you can share it. In a smoking circle, what goes around comes around. When you offer some product to your friends, they are likely to return the favor. If you’ve purchased in bulk, you save twice. You save on the bulk price, and you save by sharing and paying your product forward. 7. Grow your own. You might have some upfront expenses for equipment, buy growing your own cannabis plants is a budget plan. Even a rank amateur can raise a couple plants at home. With enough schooling and investment in the right supplies, you can manage a small garden indoors or out to produce enough product in different strains to provide you product on a continuing basis. Even accounting for the expenses, you will more than break even quickly. 8. Join the club. Medical and recreational dispensaries compete for customer loyalty with clubs. As you continue buying at the dispensary, you receive rewards, punch cards, tokens, coupons, and other incentives. They might offer newsletters, online news on bargains, and/or email coupons and discounts. Join a couple “clubs” and stay informed on what’s happening around you. For some people, cannabis is a medical necessity. 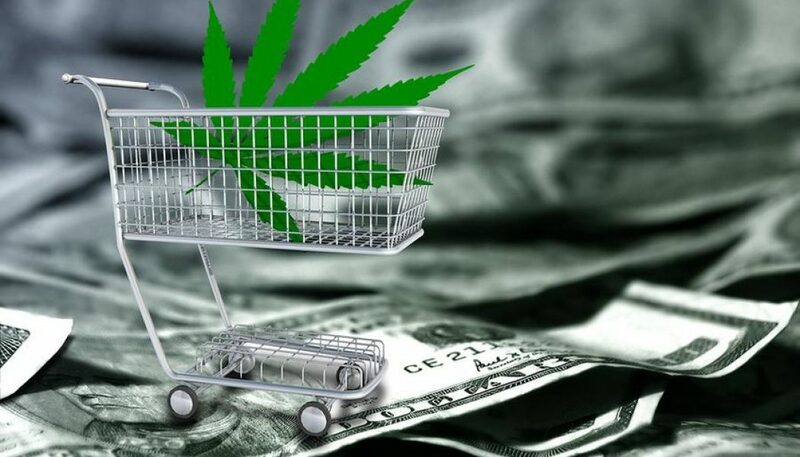 Common and increased use may moderate prices for medical marijuana eventually. Recreational cannabis is a privilege, and like liquor, it has a range of prices aggravated by heavy taxation. It’s not likely you’ll see any reduction in taxes for two reasons: (1) the high taxes satisfy local and state coffers and (2) the moral opponents process these costs as “sin” taxes. Like those who like their liquor, some will settle for the well brand, but others prefer the top shelf brand at a higher price. If they’re willing to pay the higher price, that’s their decision. But, even they will shop for a bargain on the top shelf stuff.